Faster updates ? 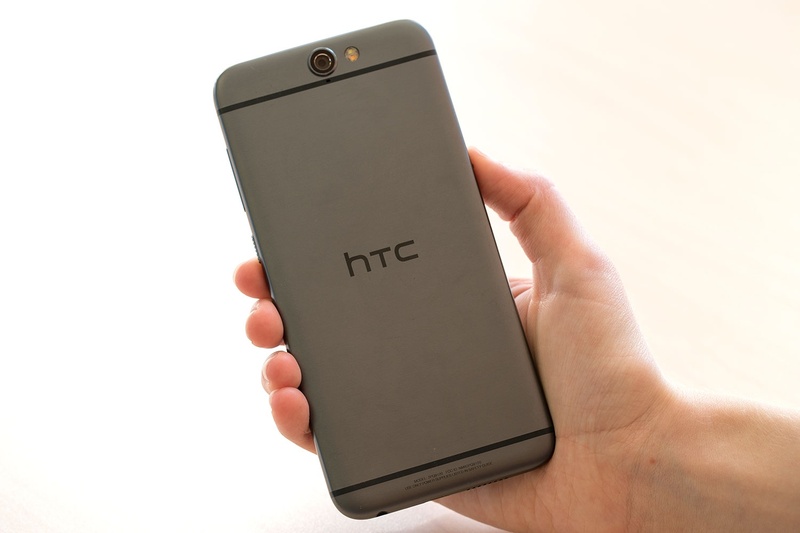 You must be talking about Google Nexus devices... No, this time it's HTC, the Taiwanese company just announced a new flagship device, HTC One A9, with Android 6.0 Marshmallow Pre-installed, as you may know HTC sense 7.0 is the reason of delaying every update due to the development & integration process with every new Android version. 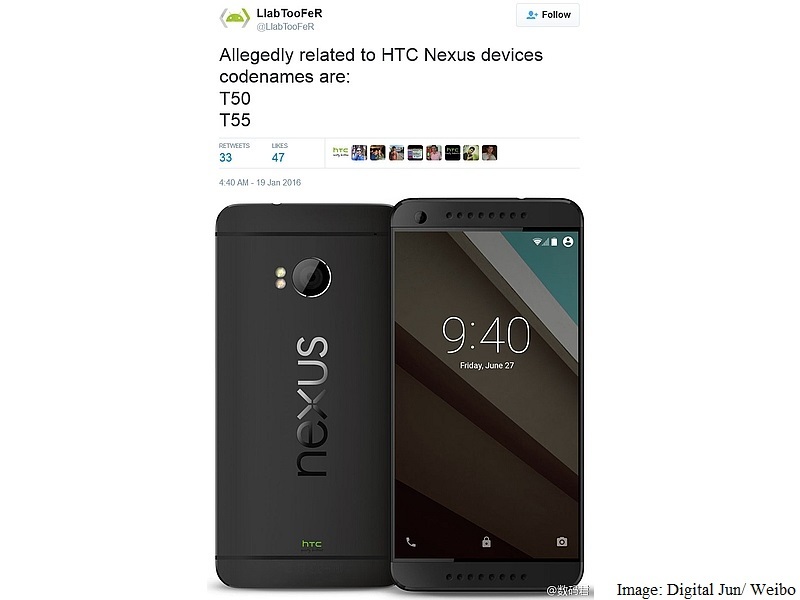 Well, HTC has officially announced through its USA twitter account that it will be speeding up this process which will make the HTC One A9 receive every Android update within 15 days of the Nexus line having received it. 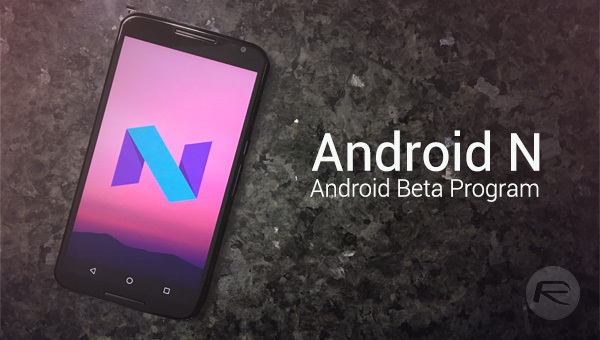 That's a very bold promise, and one that's unique in the Android world so far. 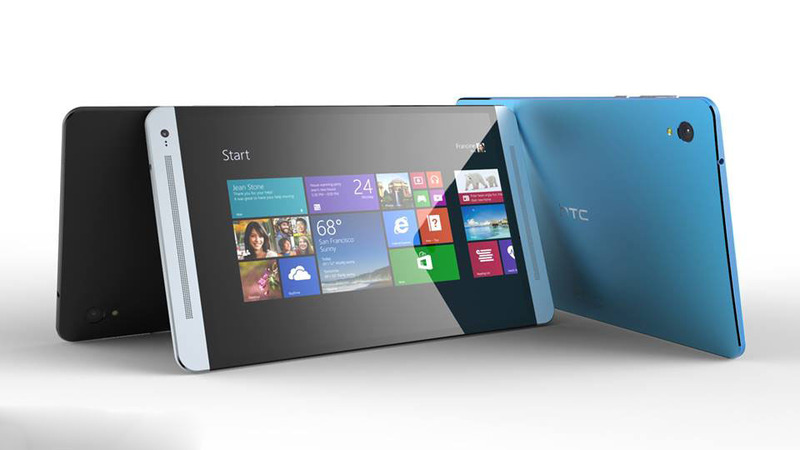 We hope that the company keeps its promise and do the same thing to all its future flagship devices. 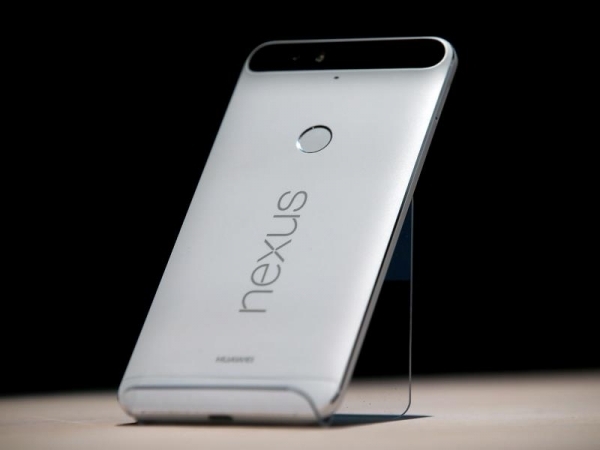 Tags: google hold event september 29th announce nexus devices final android 6.0 marshmallow video live stream watch google nexus marshmallow launch event htc promises deliver android updates one within days nexus devices cyanogenmod brings marshmallow flavor google nexus htc nexus marlin sailfish seen video render google nexus 2016 going best smartphone ever? 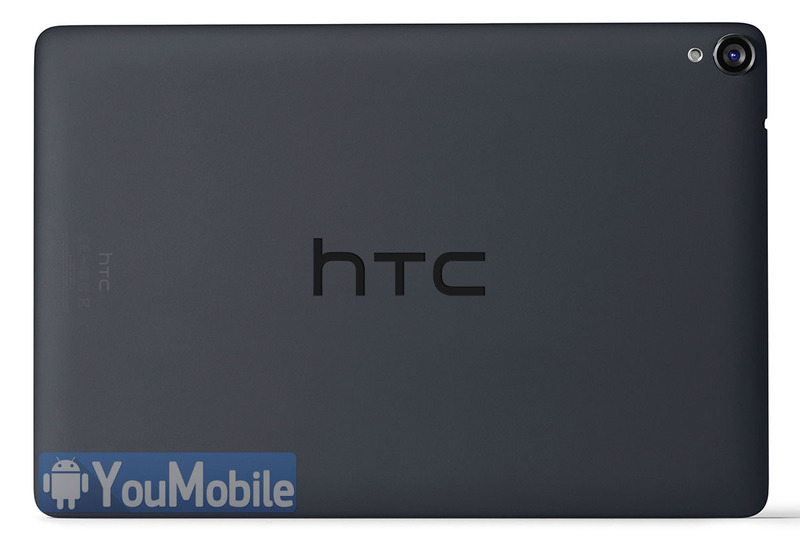 We hear a lot of rumors about a 9-inch HTC-made Nexus tablet powered by Nvidia Tegra K1 coming this year to be called the "HTC Nexus 9", we even got a list of this HTC Nexus 9 Unofficial Specs. Well, It's finally official... Yes Nvidia accidentally mentioned the Nexus 9 on its legal filings documents related to it patent lawsuit against Qualcomm and Samsung. Nvidia's document specifically states, "the HTC Nexus 9, expected in the third quarter of 2014, is also expected to use the Tegra K1." 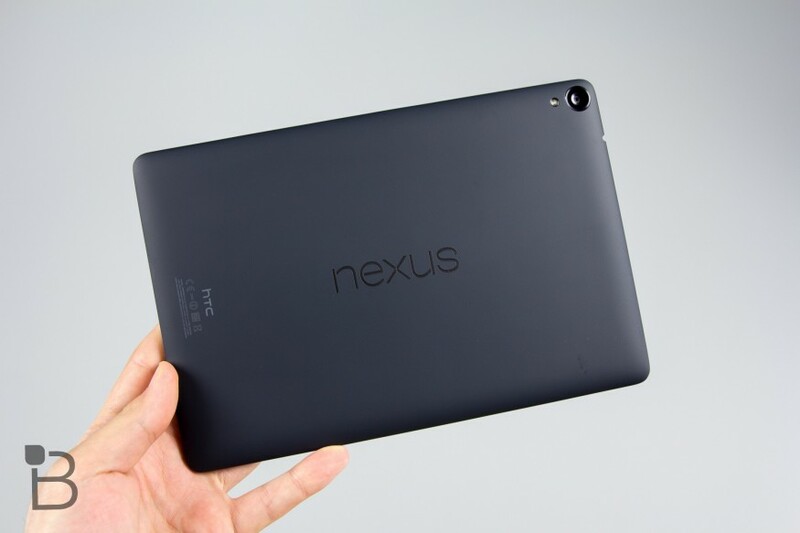 So, based on what's known that there will without a doubt be a Nexus 9 made by HTC with Nvidia's Tegra K1, but we also know that it should be expected in the third quarter of this year. All of this essentially confirms all of the rumors we've and gives an expected time frame which hasn't been confirmed by anyone else. None of this is official, but NVIDIA tuck the information in a legal filing like it's no big deal makes it seem more legit. 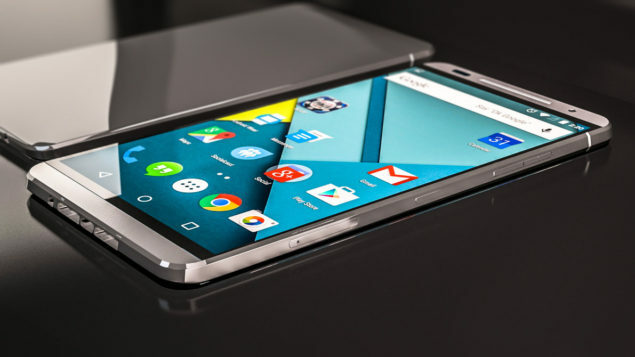 We may see this beast in the upcoming weeks with some "Android L" desert inside. 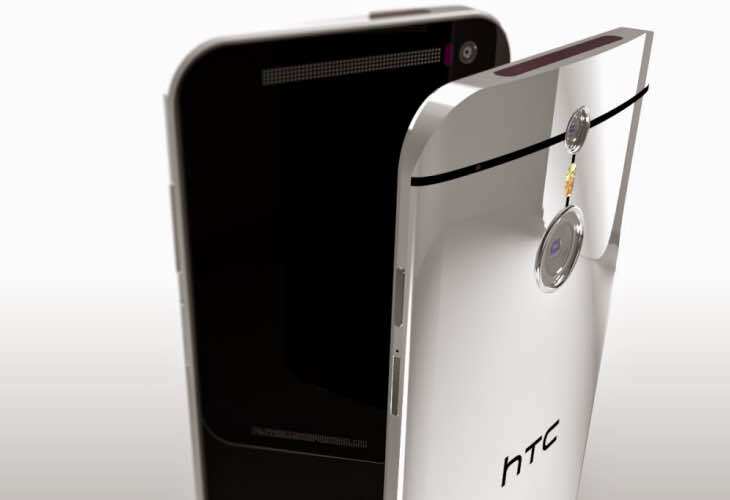 After a series of leaked images and renders, we already have a pretty good idea about how the two upcoming Nexus phones from HTC will look like, but price tags had remained undisclosed till now. Someone in HTC has allegedly leaked pricing details of the Nexus Marlin and Sailfish, but as you probably can guess already, it's still a rumor and nothing is for certain yet. 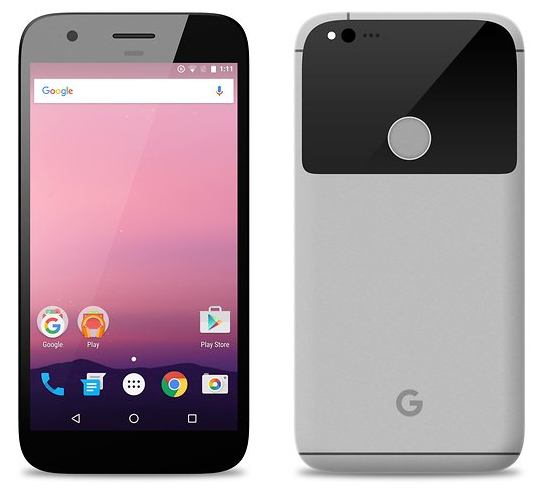 According to the source, the two smartphones from Google in 2016 will be more expensive than last year's models with a price tag of $599 for the Nexus Marlin and $449 for the Nexus Sailfish. These are of course, the price tags for the basic 32GB models and there will likely also be costlier models with higher internal storage capacities. 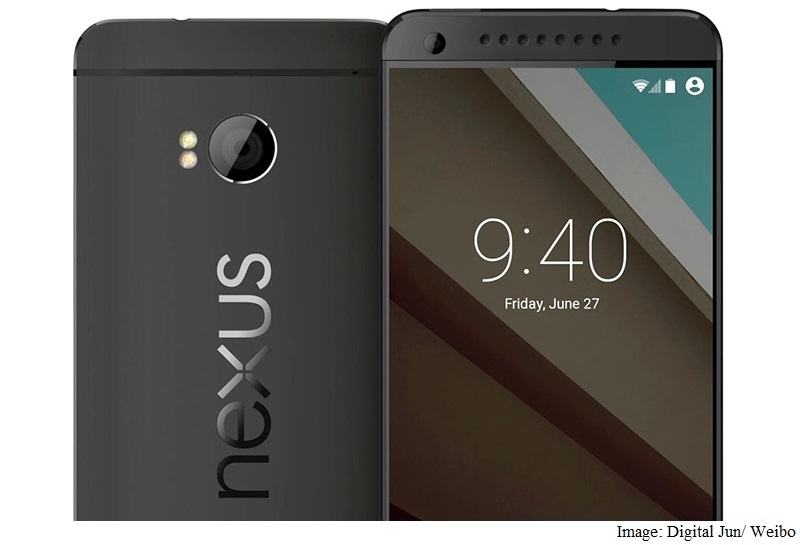 The Marlin will cost $100 more than last year's Nexus 6P ($499), if the rumor turns out to be true. 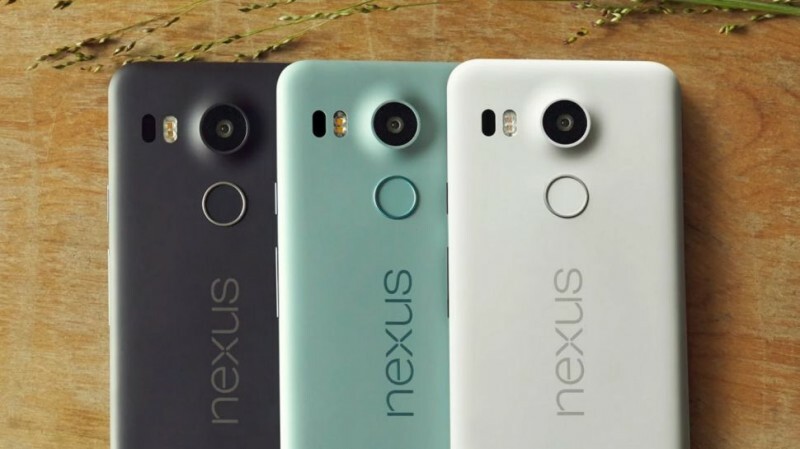 We will soon find out more next month as the two HTC-Google Nexus smartphones are probably going to debut in September with Android 7 Nougat right out of the box. 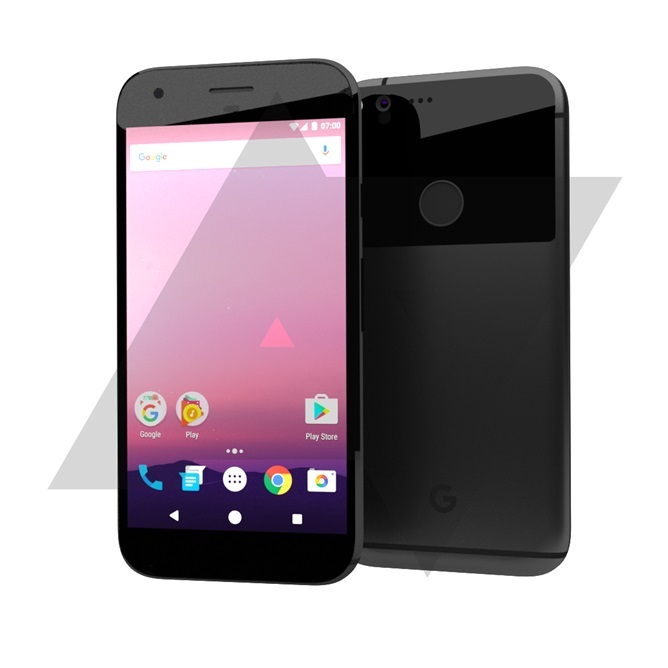 Google officially released the Google Now Launcher on the Play Store and made it compatible only with Google Nexus devices and the Play Edition devices. 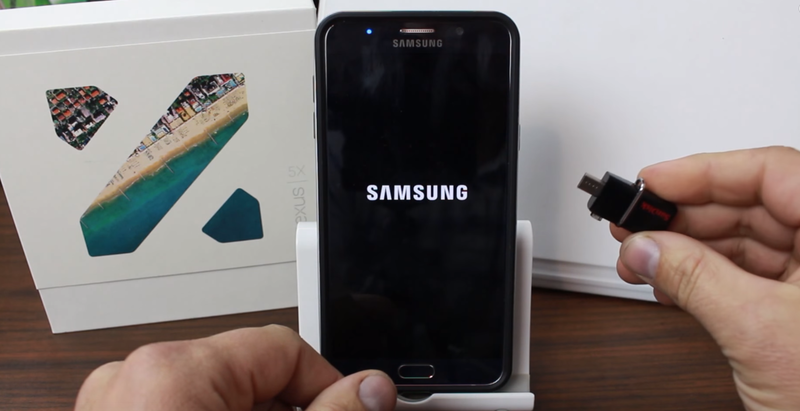 Which means you can officially install it on the Galaxy Nexus, Nexus 4, Nexus 7 (2012), Nexus 7 (2013), Nexus 10, Galaxy S4 GPe, HTC One GPe, Moto G GPe, Xperia Z Ultra GPe and the LG G Pad 8.3 GPe. You can Now Install directly from the Play Store which is easier to get future updates. 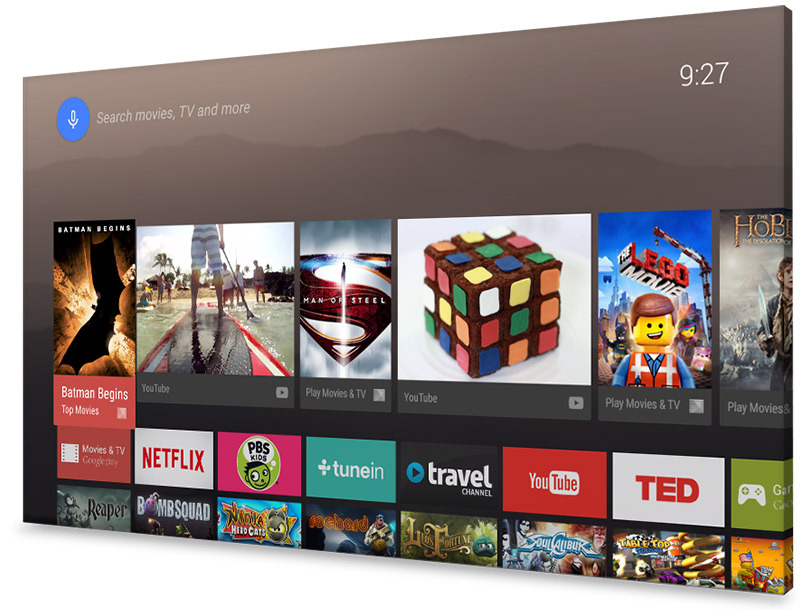 Google Now on your home screen - it's easier than ever to get just the right information at just the right time. 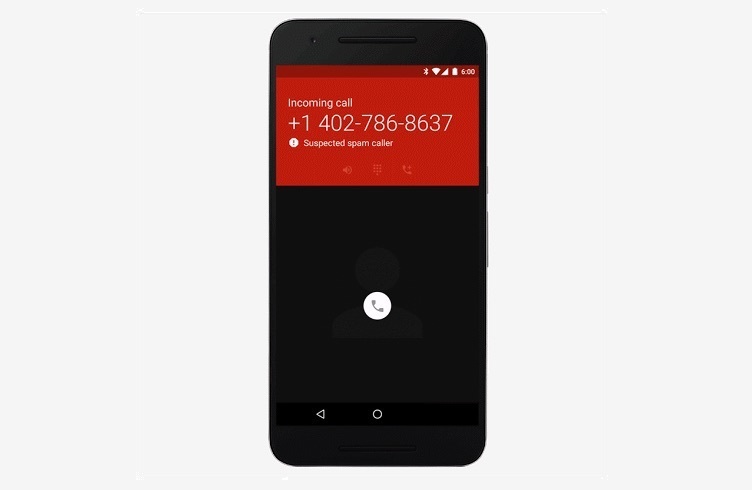 Just say "Ok Google" - when you're on your home screen, just say "Ok Google" to trigger voice input. Then say your search query. Or tell your phone what to do, like send a text message, get directions, or play a song (available in the US, UK, and Canada). Faster search - tap the search box and you can enter your query immediately. Larger viewing area - the status and navigation bars are now translucent, so your wallpaper pops from every pixel, and is even visible when you expand your apps drawer (when supported by device). Intuitive wallpaper picker - select any image that's stored on your device, or in the cloud. Position and preview your wallpaper before you set it. 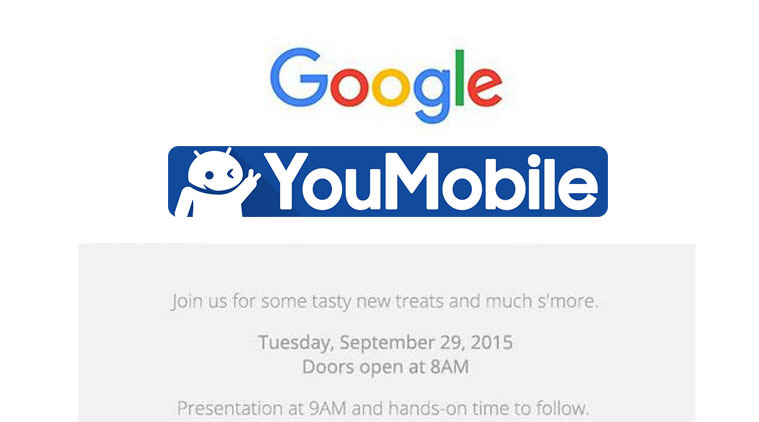 Tags: google hold event september 29th announce nexus devices final android 6.0 marshmallow video live stream watch google nexus marshmallow launch event htc promises deliver android updates one within days nexus devices cyanogenmod brings marshmallow flavor google nexus htc nexus marlin sailfish seen video render google nexus 2016 going best smartphone ever? 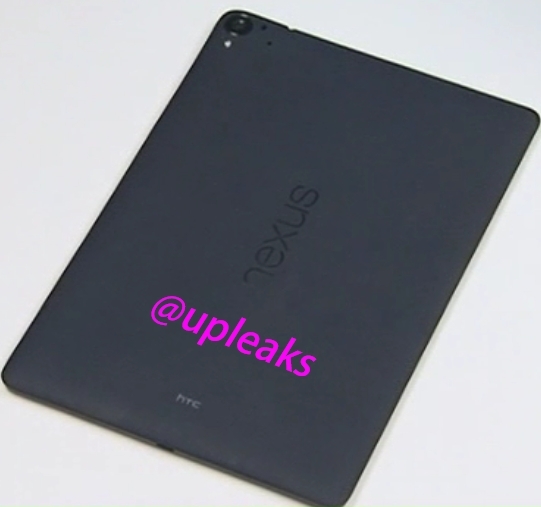 htc-made nexus photo leaked with keyboard rumor claims that upcoming nexus smartphones codenamed t50 t55 htc manufacture google nexus smartphones 2016 nvidia officially confirms htc nexus with tegra htc upcoming nexus tablet just got wi-fi certification first real live photo htc nexus tablet codenamed htc exec nexus turning point tablet market htc working its own branded android tablet with same nexus design htc one have same boomsound speakers design nexus top reasons that make google nexus one best mid-range smartphones google giving out free chromecast with nexus purchase some countries nexus scratch bend test failed google now adding protection against spam callers android one nexus devices price tags google nexus marlin sailfish leaks out off with nexus google pixel october: leaks cases android 7.1 google able fix bug that lets users bypass factory reset protection nexus devices google gnl nexus android beta version now available download nexus devices while samsung flagships still lollipop! 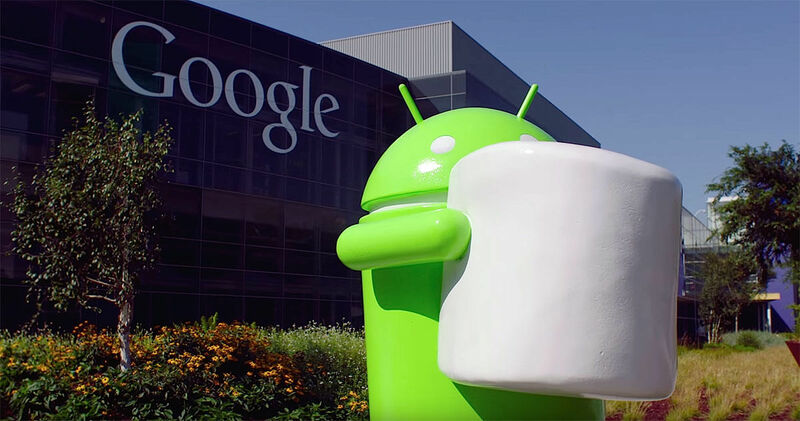 We have reported before that some of the Google Nexus devices will start receiving Marshmallow updates by Early October.. and here we are. 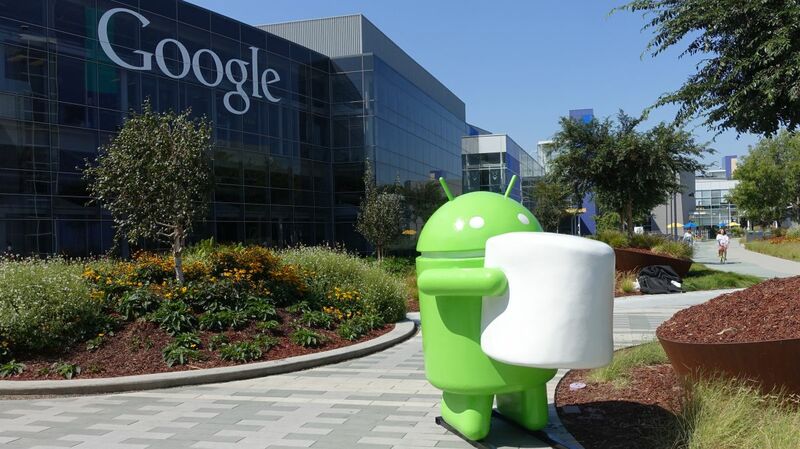 Google has released the Android 6.0 Marshmallow factory Images to the Nexus line-up list we published before. 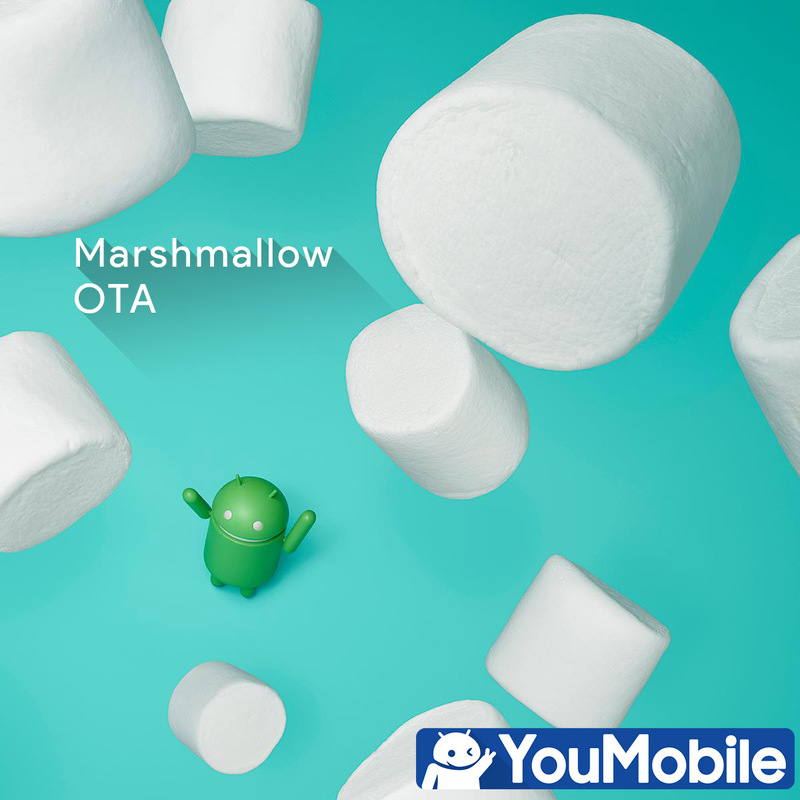 Today, Google has also started rolling-out Android 6.0 Marshmallow OTA (Over-the-air) updates to some of those devices worldwide, the OTA packages roll-out is slower as it gets released in stages. 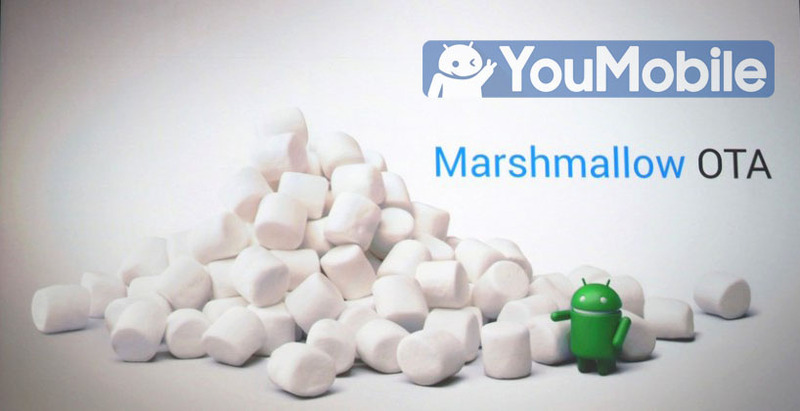 Note that flashing Marshmallow Factory image will wipe all your data, better wait for your OTA update to hit your device to avoid losing your data or apps (in case you don't have a backup ready). 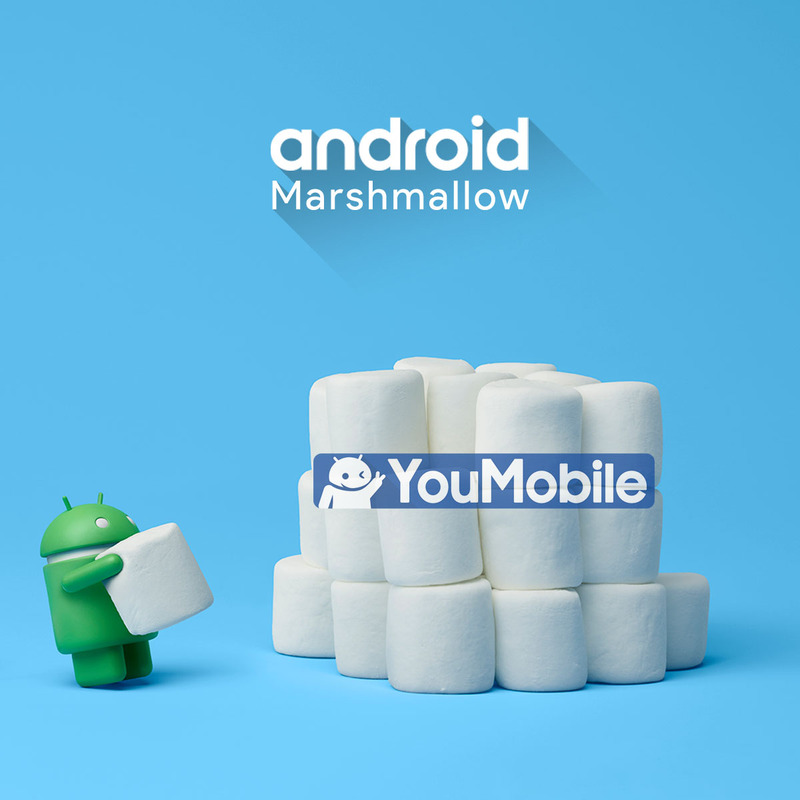 You can download the Official Marshmallow Nexus Image from here. 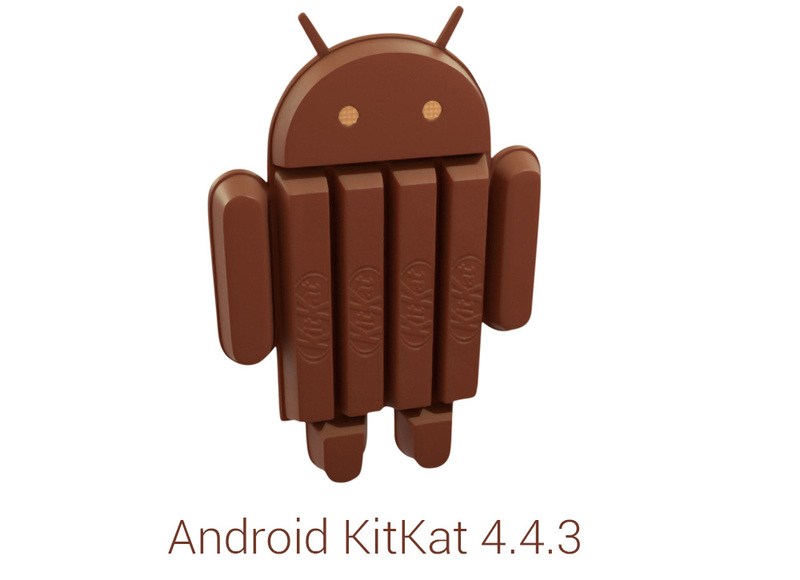 Last week, we heard a rumor about Android 4.4.3 KitKat [Build KTU72B] with camera bug fix that is coming soon. 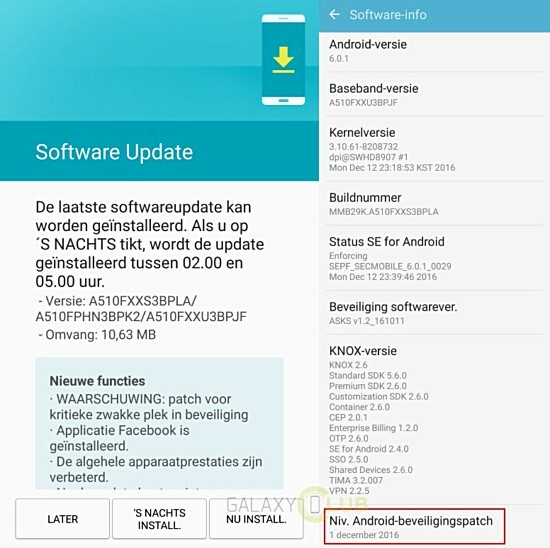 Today, we got the even more confirmed information about the Android 4.4.3 KitKat update, this time is a newer build "KTU8xx". The New 4.4.3 update will be a minor update with several bug fixes and improvements but no GUI changes, Here is the full change-log. The update build is seems to be finalized and it's coming soon. 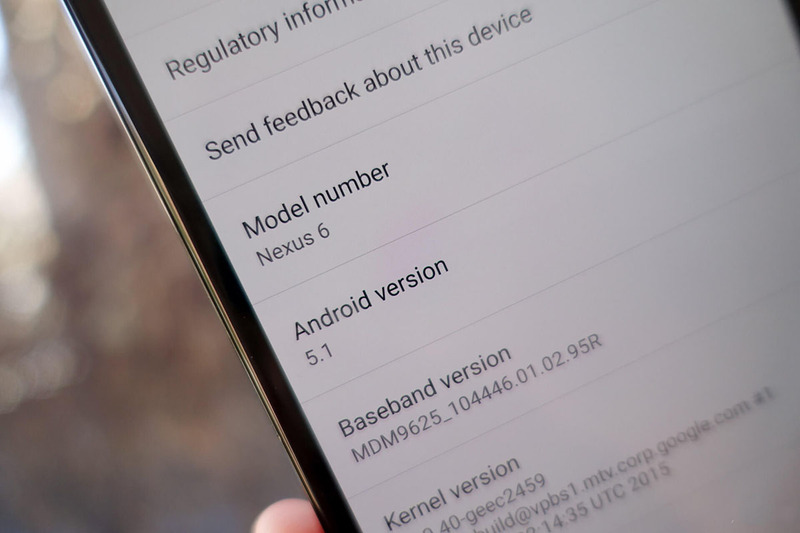 There is no official date but it won't take too long to see Google seeding the update to its Nexus & GPe devices. 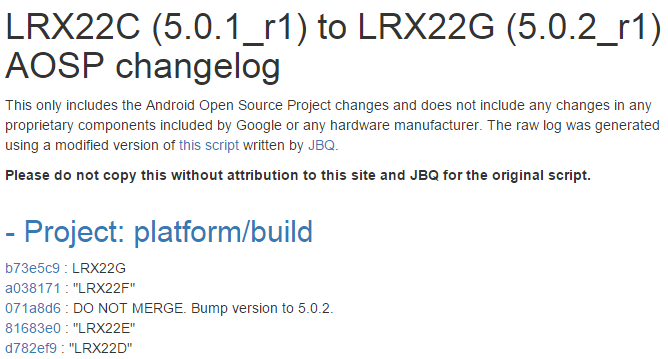 We already saw the Android 4.4.3 update full change-log and we know its currently being tested. 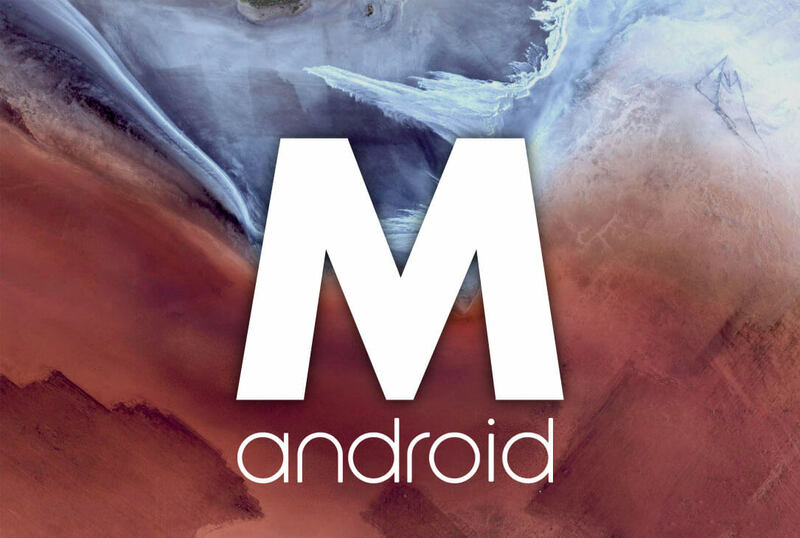 Today, more info has been leaked, the version for Android 4.4.3 is codenamed "Hammerhead" and carries a build number of KTU83. 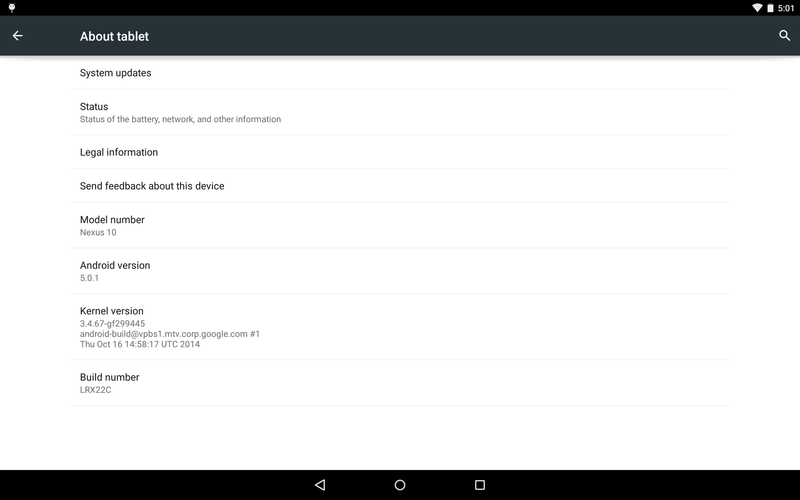 The version of Android 4.4.3 for the Nexus 7 (2013) is KTU79. There is a way to break down these build numbers as they are based on a Google-devised code. The "K" on the build number refers to KitKat. The third letter, which in this case is "U" is the quarter that the software was written. The last two numbers is a date-code. For example, "83" would be the 83rd day of the quarter which was March 24th. 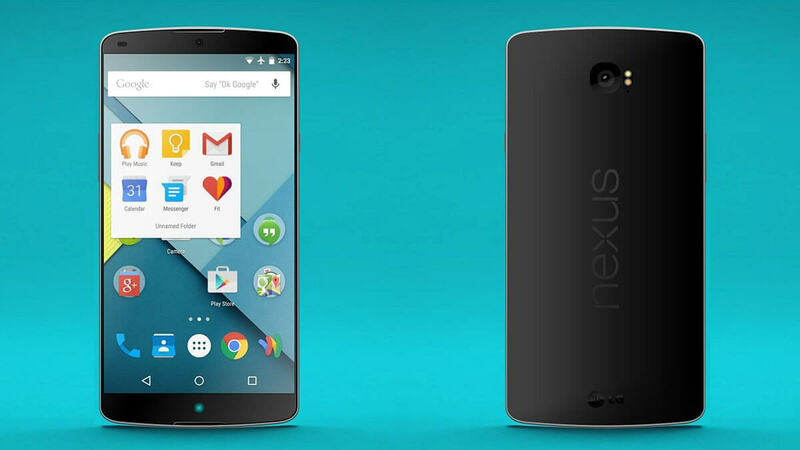 That means that the build seen on the Nexus 5 is just 1 week old. 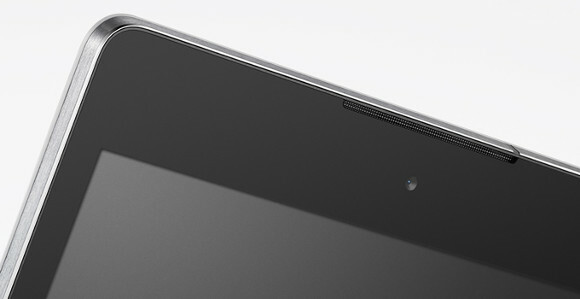 The build for the Nexus 7 (2013) was created on March 21st. The final OTA update isn't so far. 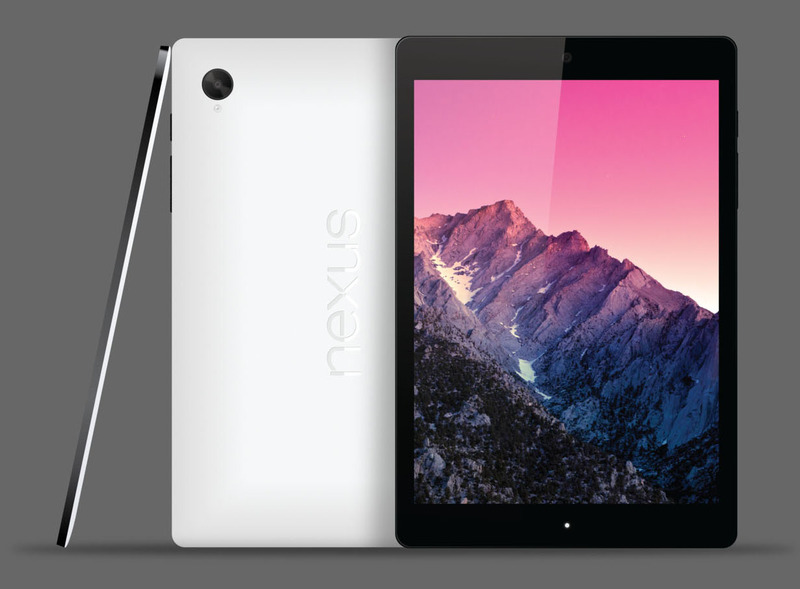 Latest reports from Google, confirming that the first Android 5.0 Lollipop over-the-air updates is coming to Nexus 7 (2012), Nexus 7 (2013 Wi-Fi) and Nexus 10 devices only, and it will start rolling-out on November,3rd. 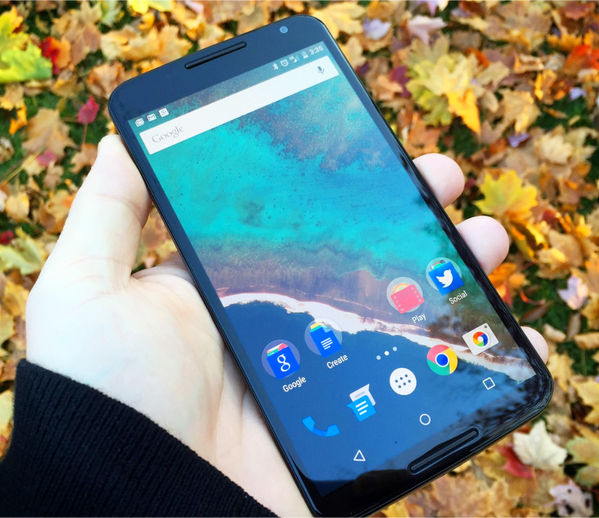 The Rest of the devices Nexus 4, Nexus 5, Nexus 7 (2013 LTE) will get the same Lollipop OTA update later on November as well, but because radio and carriers variants takes more time on testing than the regular Wi-Fi only devices. 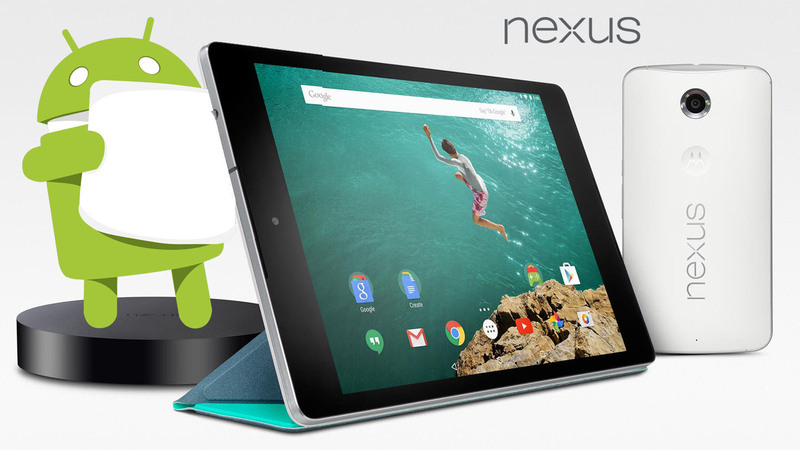 In both cases all the Nexus family will get the Android 5.0 during November starting with the Wi-Fi only tablets on the third day of the month. 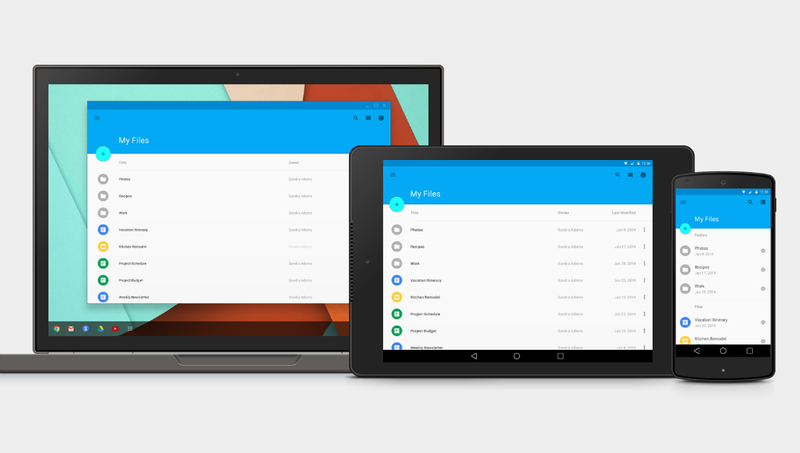 Check out what's New on Android 5.0 Lollipop! 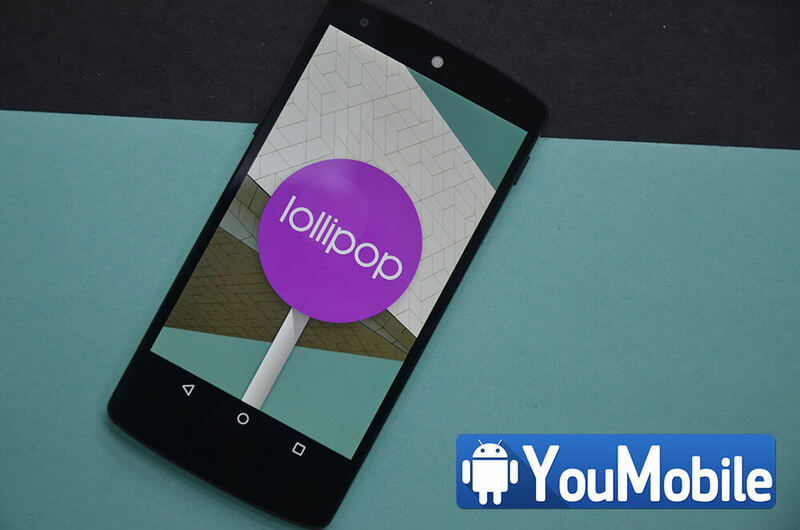 Lollipop OTA updates to Google Nexus device has been delayed from November,3rd due to a Bug that Google has already fixed few days ago, so the update are ready and on the way. 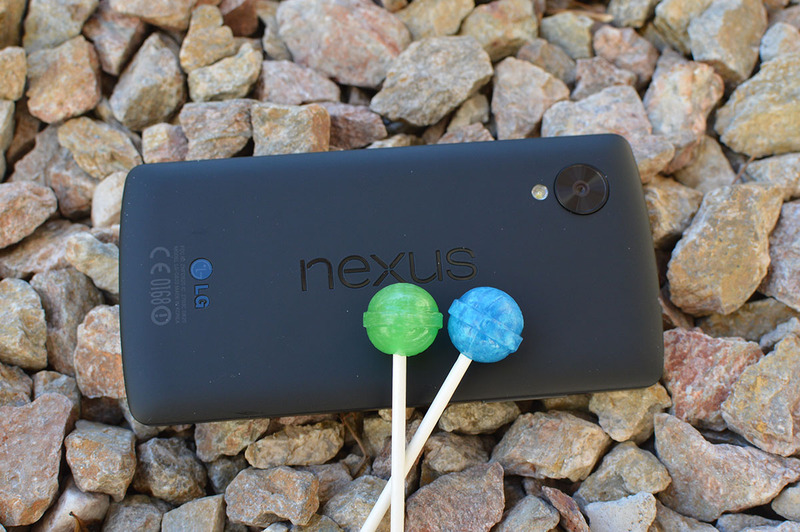 Android 5.0 Lollipop OTA Updates will start Rolling-out on November,12th to Nexus devices. 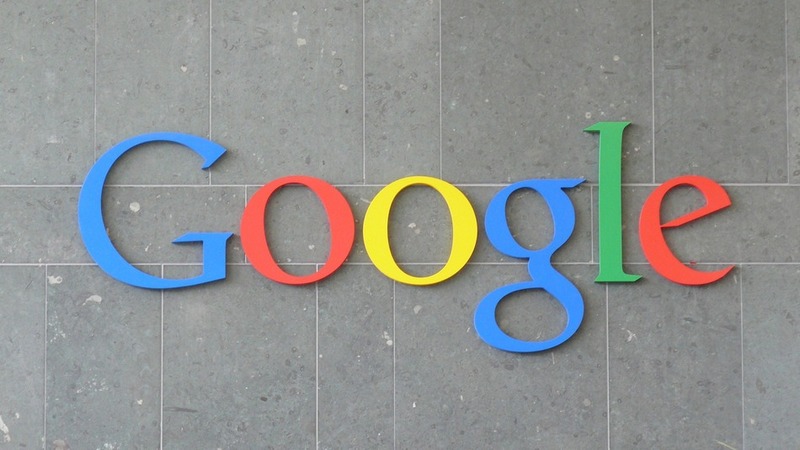 Google will probably release the update to the I-Fi only devices first, like the Nexus 10, Nexus 7 and Nexus 2013. Other 3G/4G radio devices includes all Nexus Smartphones (Nexus 5, Nexus 4) and tablets with data connectivity will be update later this Month. 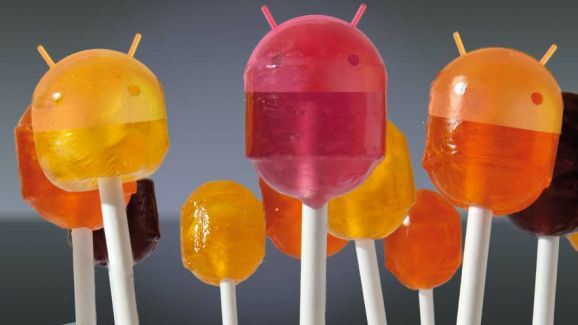 Google is also expected to release the Lollipop images for all Nexus devices in the same day (Nov,12th). 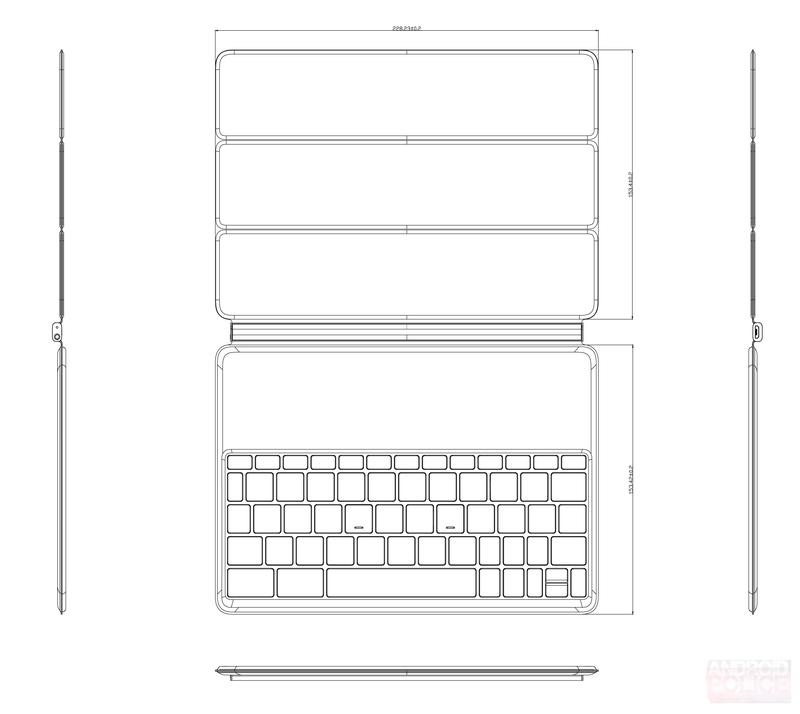 Google already released the factory images of the Android 5.0.1 Lollipop to some Nexus devices (Nexus 10, Nexus 7 2013 Wi-Fi, Nexus 9 Wi-Fi). 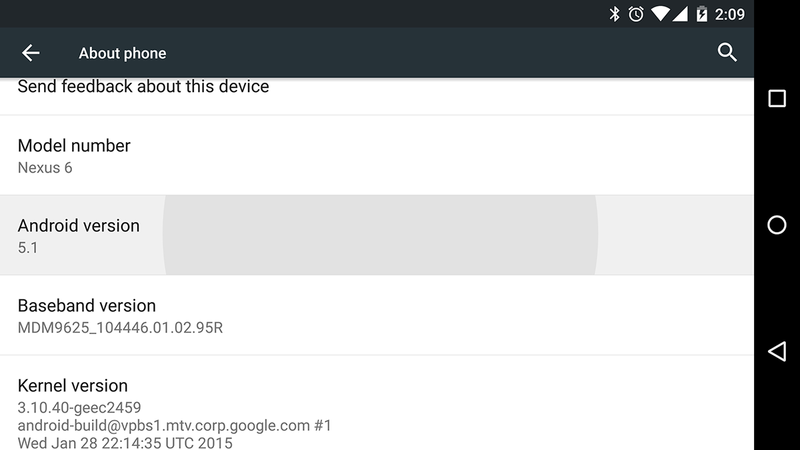 Today, Android 5.0.1 Update is Rolling-out OTA (Over-The-Air) to these devices, the update is about 8.4 MB - 15 MB in size. 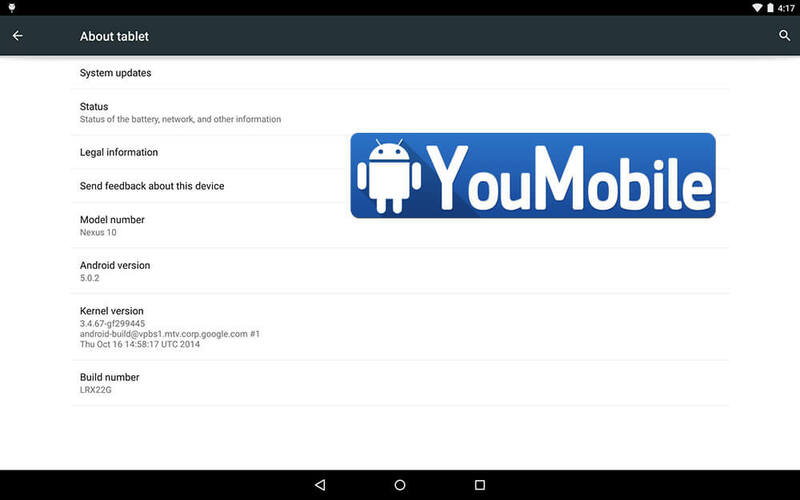 Check the Screenshot below from a Google Nexus 10. Google didn't say much about this update change-log. 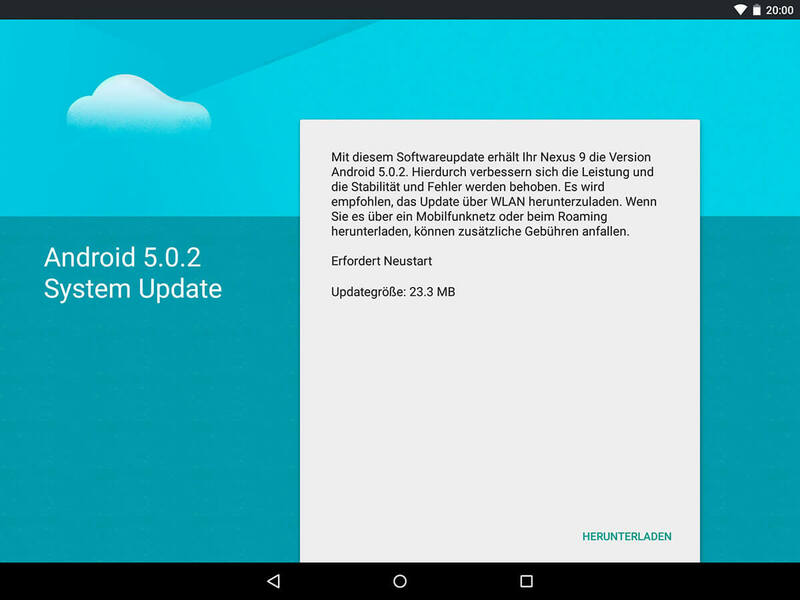 However, This Minor update brings some Important bug fixes, Wi-Fi Improvements and Performance Enhancements, it also fix some instability issues that was reported with the official Android 5.0 release. 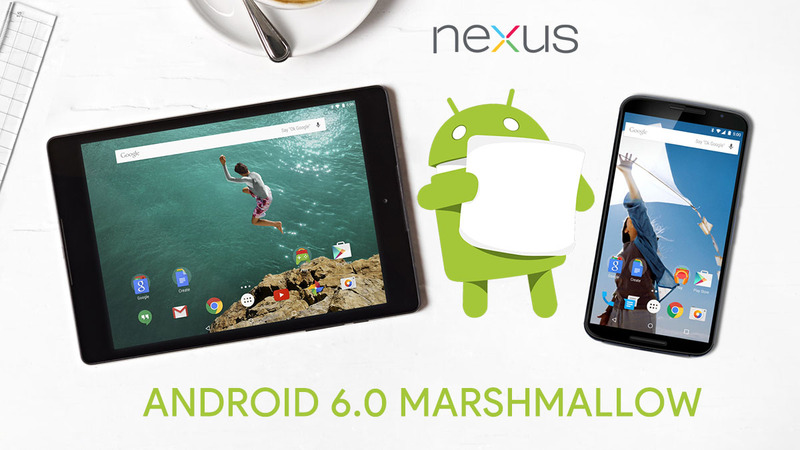 The Rest of Google Nexus family (Nexus 6, Nexus 7, Nexus 9 LTE... etc) will receive Android 5.0.1 update very soon during this month. Thanks Joe for the Screenshot and the Tip! 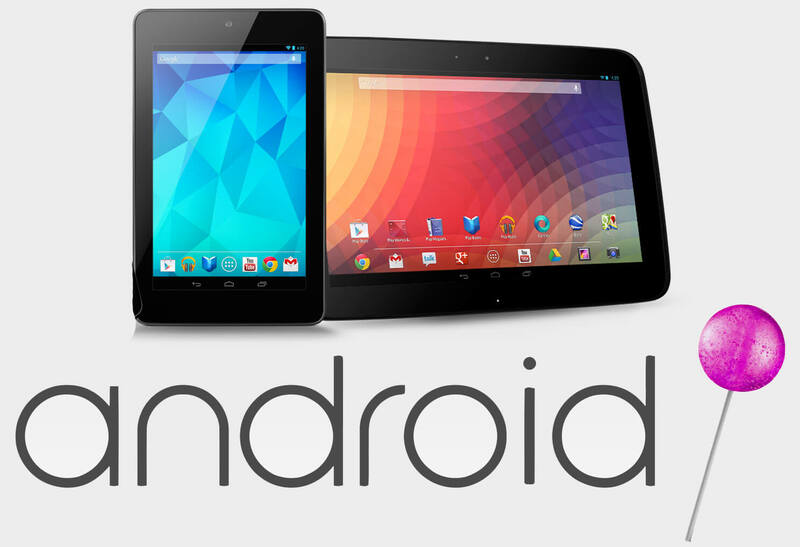 Latest reports suggests that Google will release Android 5.0.2 Factory Images for the rest of the Nexus family (Nexus 7 2013, Nexus 9, Nexus 10... etc) by Early January,2015 and OTA Updates to start rolling-out by the End of the same Month (Jan, 2015). 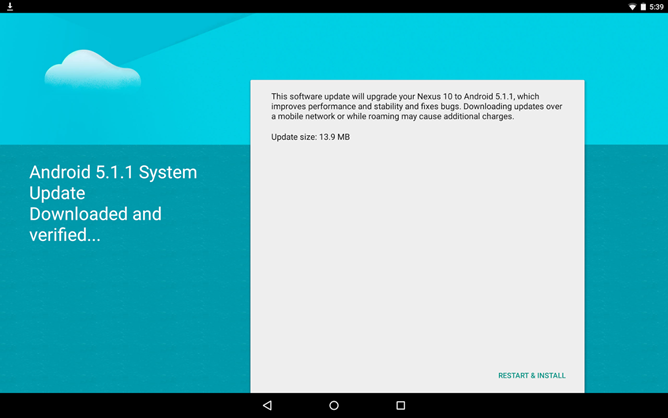 After releasing the official Factory Images, Google is now Rolling-out the latest Android 5.0.2 Lollipop OTA (Over-the-air) update for the Nexus 10 users. The update size is about 8 MB only and carries the Build number [LRX22G], it packs some minor bug fixes and performance improvements. 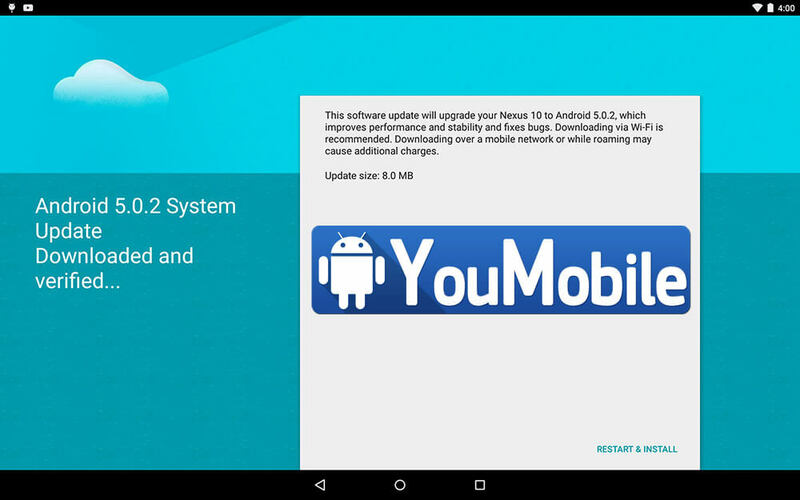 Currently this update is only Available for Nexus 7, Nexus 7 (2013) and Nexus 10 users only. 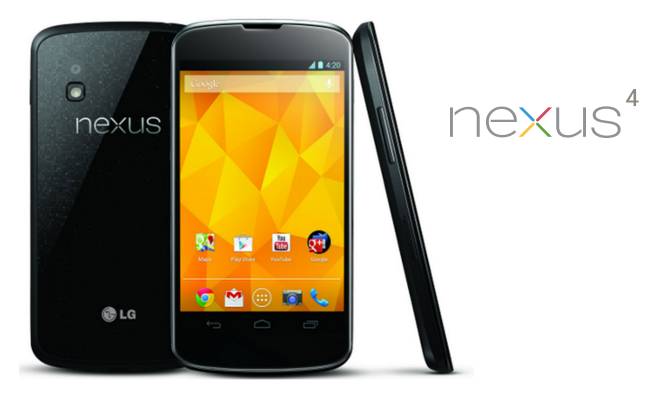 Google is planning on releasing the 5.0.2 update to all other Nexus family very soon with much needed bug fixes. 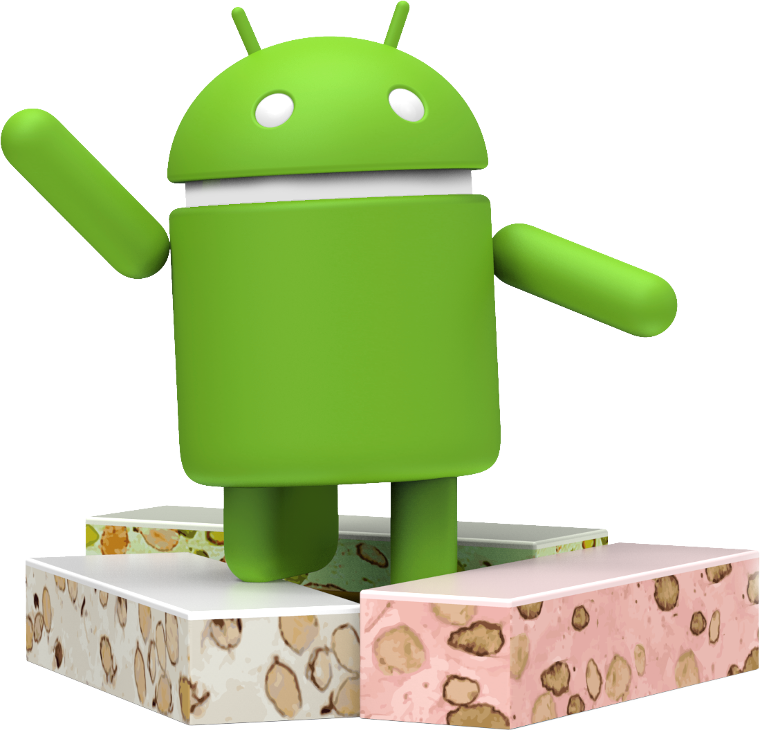 Google is now officially rolling-out the latest Android 5.1 Lollipop update to all the LG Nexus 5 users around the world. 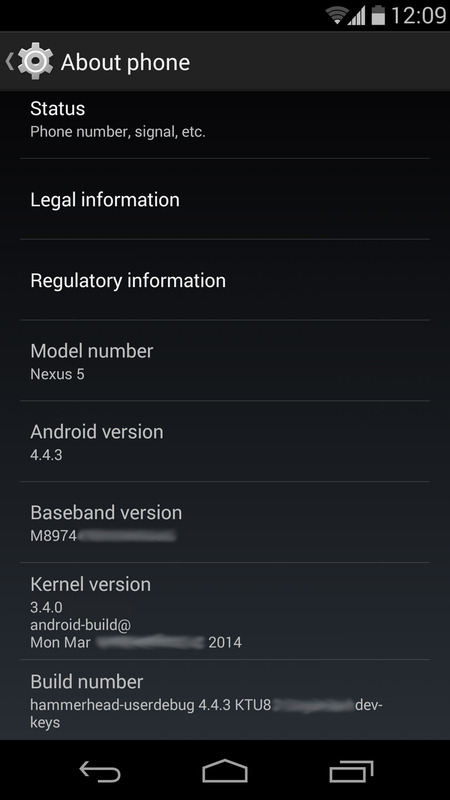 The update build number is 5.1.0 (LMY47D) and the OTA package size is about 220.7 MB. 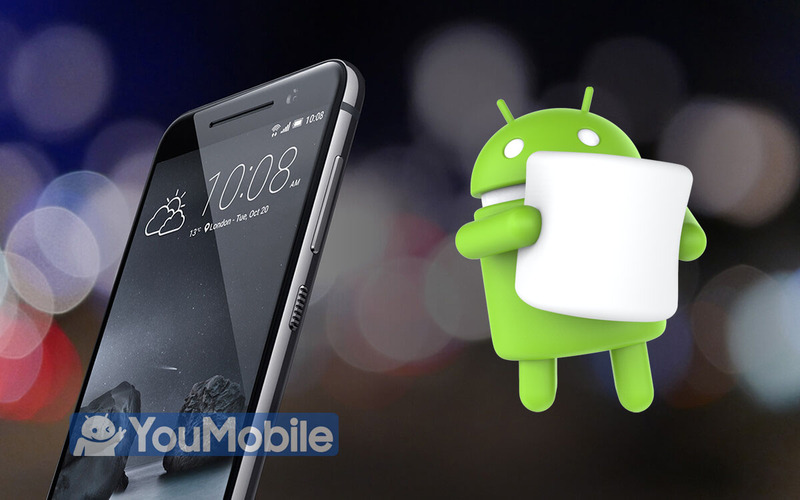 The most signification feature that arrives with Android 5.1 is the "Device Protection" which keeps your device locked even after factory reset. Only after the owner signs in, the device can be unlocked... This feature cannot be hacked or tempered with. HD Voice has been activated to improve the voice call quality. There's no evidence of whether the fix for the reported memory leak bug , has been patched with this update or not. 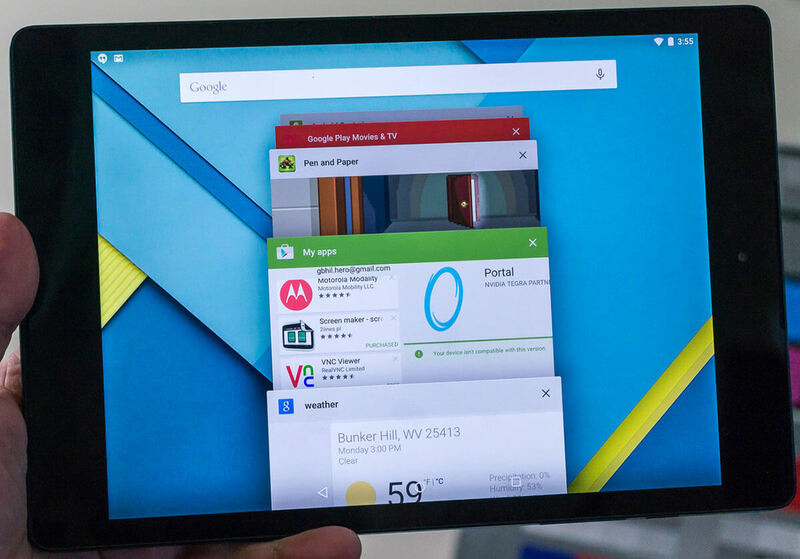 Google is Now rolling-out the latest official Android 5.1.1 Lollipop for its Google Nexus 10 tablet worldwide Over-the-air (OTA). The update package is very small, about 13 MB in size. 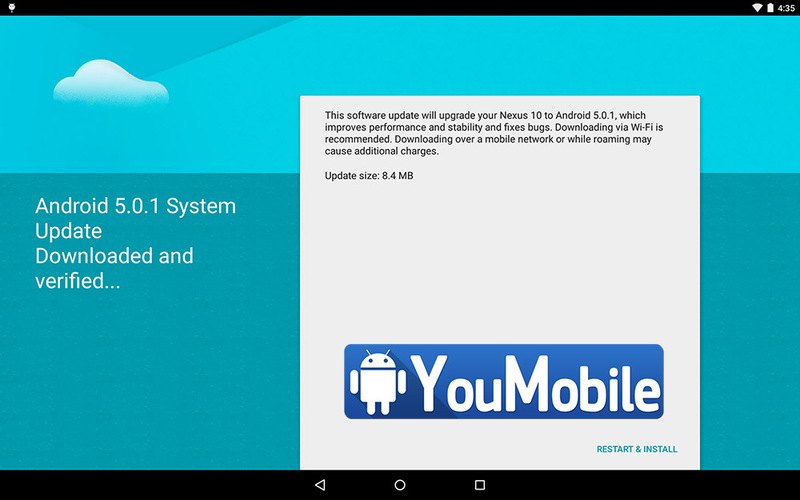 Android 5.1.1 update for the Nexus 10 brings the device software to build LMY47V. The change-log mentioned on the update is "bug fixes, performance and stability improvements". But there are still some few new features are on the packed on the update. We are still waiting for a full change-log. 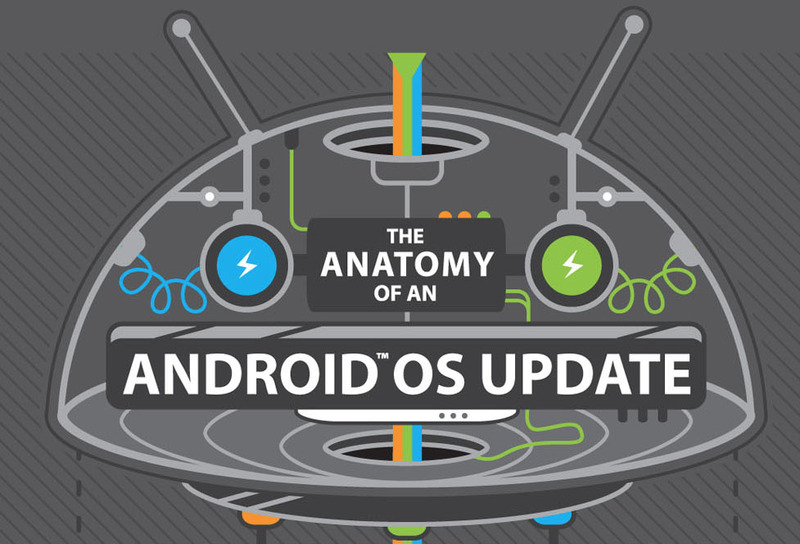 This is the first time to see a Google Nexus device lacking behind in Android updates!... 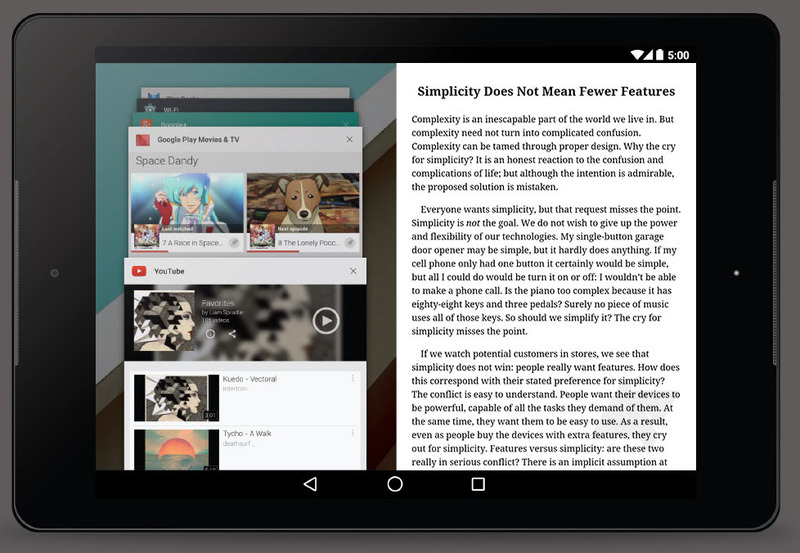 The HTC Nexus 9 users has just received their official Android 5.0.2 Lollipop OTA update, while other Nexus devices like Nexus 10 is getting Lollipop 5.1.1 update. 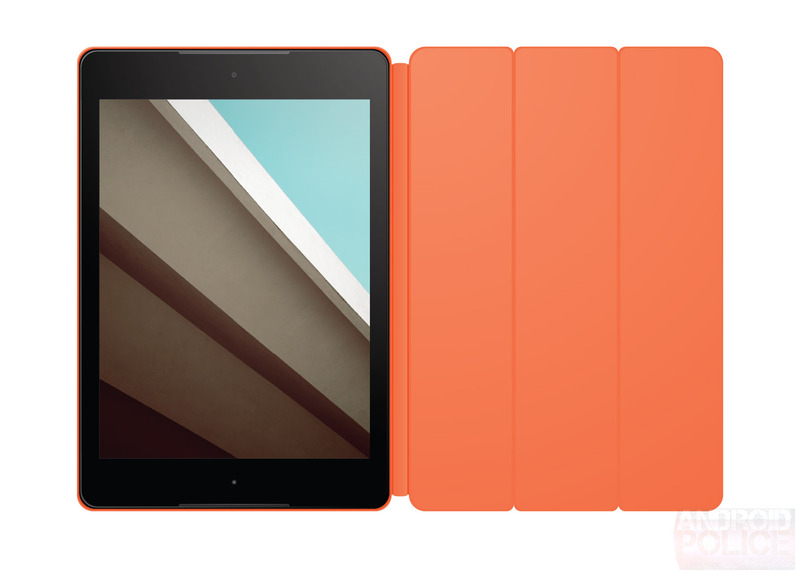 Nexus 9 update to Android 5.0.2 Lollipop is on its way to Nexus 9 owners, and it's around 23MB in size. After applying it, you'll be on build number LRX22L. As the minor version number jump from 5.0.1 to 5.0.2 implies, this one should be all about the bug fixes. 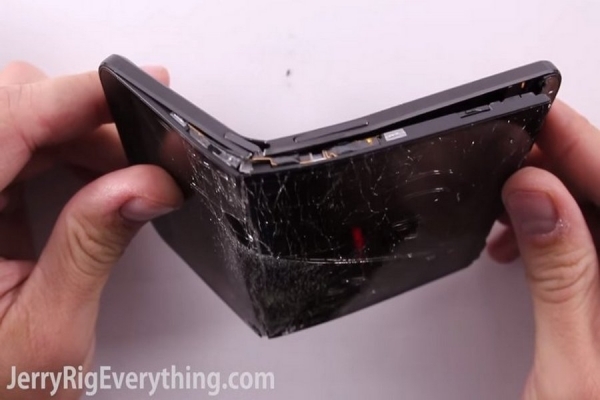 Although the launch of Nexus 6p didn't exactly follow the disasters faced by previous variants last year, it didn't go smoothly. Those lucky enough to grab the opportunity before the phone got completely sold out online are now wondering about shipment date of the phone owing to the impending delays. For those who wanted to go through the reviews to make up the mind were disappointed with the out of stock label on most of the variants for weeks. Now, it's been almost 2 months since the Nexus 6P (and 5X) launched and it seems Google is finally able to meet the demand. 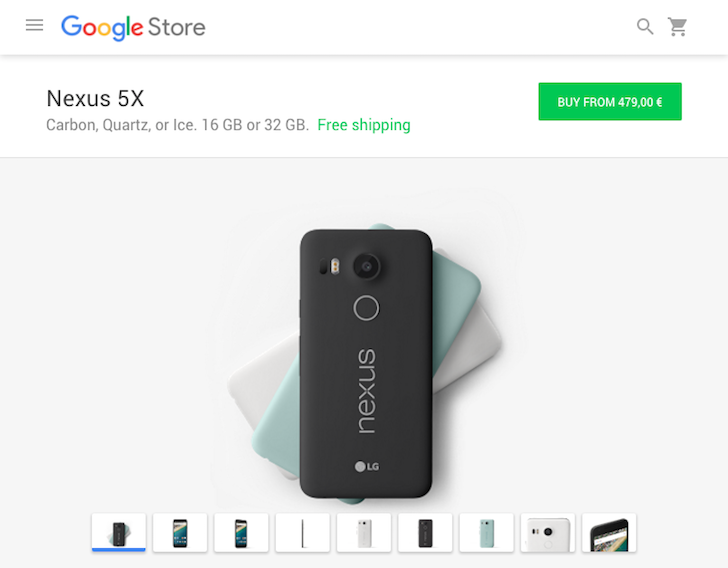 Right now the Google Store has all the Nexus 6p devices in stock and you are free to choose any kind of color and storage configuration. We actually informed about this a few days ago, but were so elated about the elusive 64GB Frost white model being available that we somehow missed to cover the rest. As we head into the weekend, we just wanted to jog your mind regarding the in-stock Nexus devices (seems to stay like this for sometime). 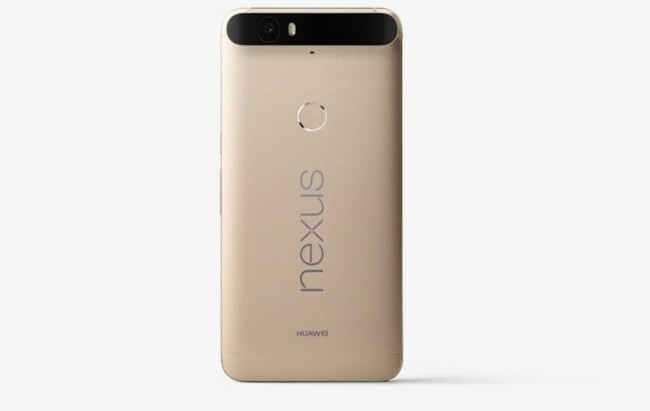 The Nexus 6P price starts at $500 for the 32GB, $550 for the 64GB, and $600 for will get you the 128GB variant. 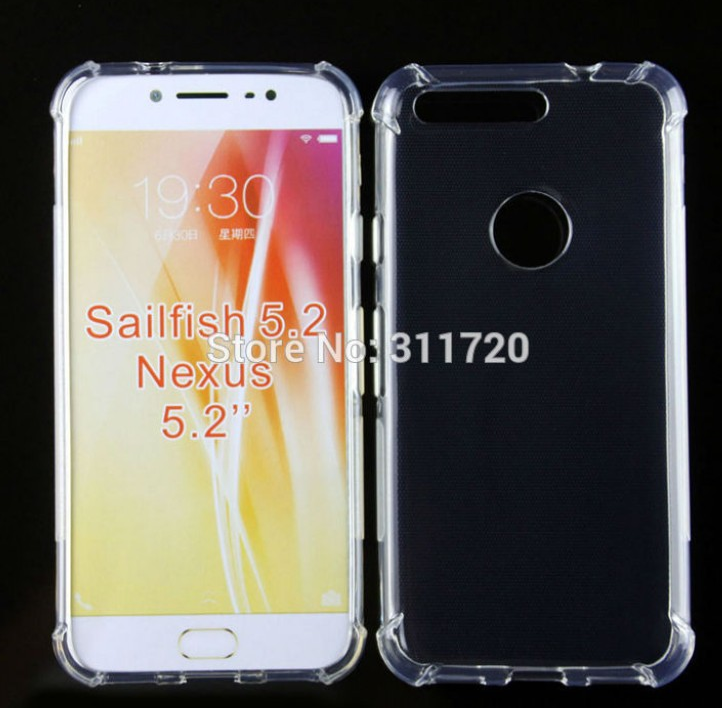 If you wanted to get the official black case, it is also in-stock.